Head coach of France national team, Didier Deschamps, has stated that Manchester United are in trouble, adding that fans of Italian champions, Juventus, are right to dream of signing Paul Pogba. “All of Manchester United are in trouble. Pogba is still the same and is one of the best midfielders in the world. 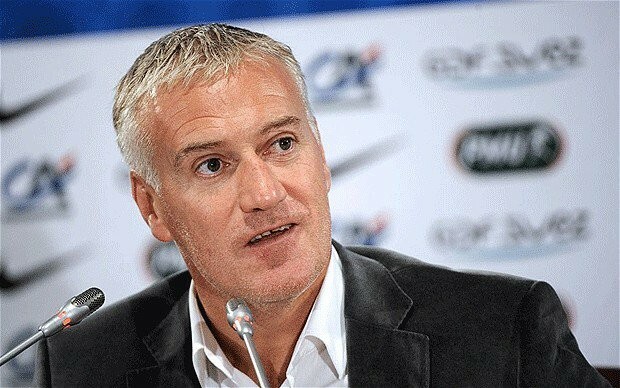 “However, I’ll never comment on relationships between players and coaches,” Deschamps told Italian newspaper, Gazzetta Dello Sport on Wednesday. Pogba has been linked with a return to Juventus, which he joined for free in 2012 after walking out of United. The midfielder then returned to United in 2016 on a five-year contract for a then-record transfer fee of 105m euros (£89.3 million). Deschamps suggested that the prospect of Pogba once again quitting United for Juventus was not so far-fetched. “Dreams are a part of life. Maybe the fans hadn’t dreamed of Cristiano Ronaldo, who ended up signing. “Sometimes dreams come true, but compared to a few years ago it would cost Juve a lot more to buy Pogba now,” he said.